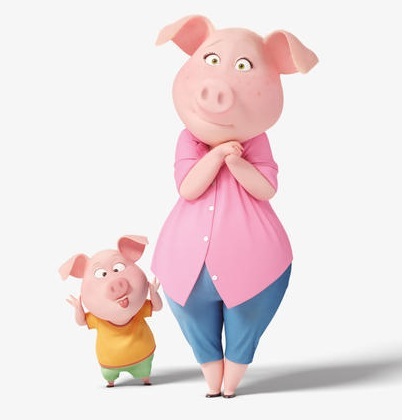 Although tons of new animated movies await us in the fresh new 2016, definitely the most adorable one could be SING which will bring singing animals into theatres December 21st just in time for Christmas! 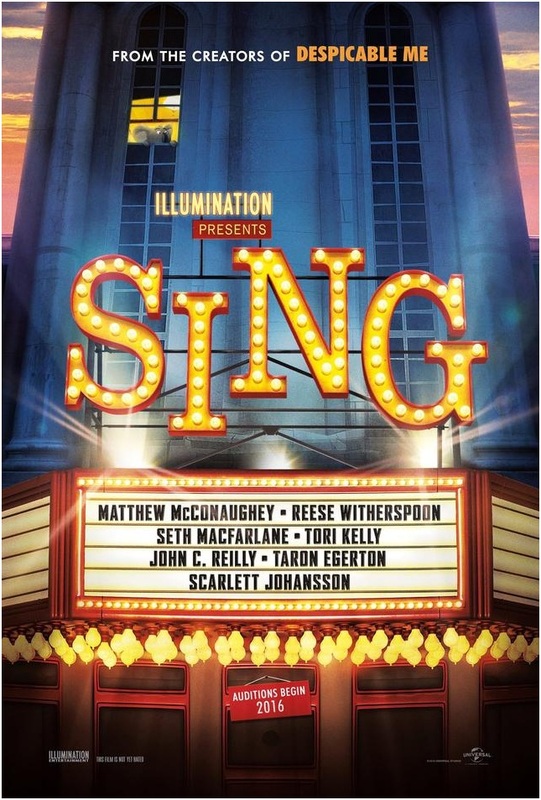 Today you can check out the first photos of the main characters who will get their voices from Matthew McConaughey, Reese Witherspoon, Seth MacFarlane, Scarlett Johansson, John C. Reilly, Taron Egerton and Tori Kelly, in a musical comedy about finding the shining star that lives inside all of us. The movie will feature more than 85 hit pop songs! 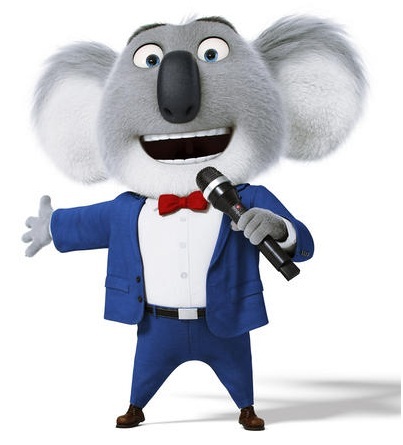 Set in a world like ours but entirely inhabited by animals, SING stars Buster Moon (Matthew McConaughey), a dapper Koala who presides over a once-grand theatre that has fallen on hard times. Buster is an eternal optimist, okay, maybe a bit of a scoundrel, who loves his theatre above all and will do anything to preserve it. Now facing the crumbling of his life's ambition, he has one final chance to restore his fading jewel to its former glory by producing the world's greatest singing competition. 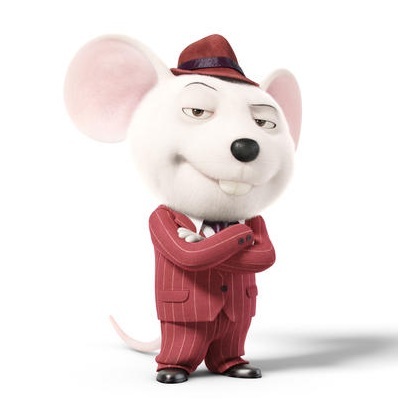 Five lead contestants emerge: A mouse (Seth MacFarlane) who croons as smoothly as he cons, a timid teenage elephant (Tori Kelly) with an enormous case of stage fright, an overtaxed mother pig (Reese Witherspoon) run ragged tending a litter of 25 piglets, a young gangster gorilla (Taron Egerton) looking to break free of his family's felonies, and a punk-rock porcupine (Scarlett Johansson) struggling to shed her arrogant boyfriend and go solo. Each animal arrives under Buster's marquee believing that this is their shot to change the course of their life. How interesting - Art imitating life, again. Sounds worth waiting for. I've got the same haircut as that gangster gorilla. Should I be worried? Oh well... Some can just go to hell. And Reese Witherspoon... is a pig? nope, a sow she is! 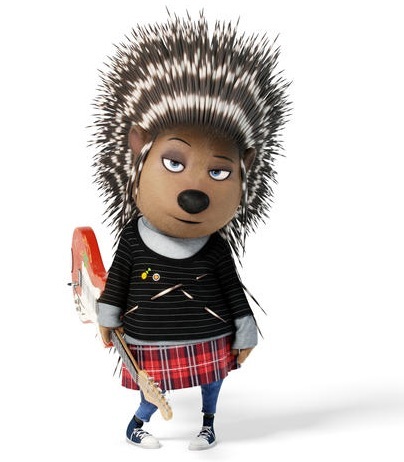 Oh, and those characters in SING look adorable! Happy New Year to the Middle Earth as well! Oooh, this is going to be so cute! Can't wait for the first trailer! hope it won't be too adult! Too adult..." What does that even mean? I'm so confused. hope the trailer proves it cuteness! So many great names! This should be a hoot. he does look like a ratty koala, no? I don't know. I'm trying not to be P.C. but something about this gorilla rubs me the wrong way. 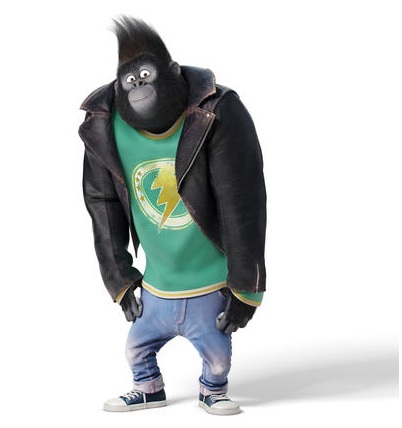 I love the Porcupine but that gorilla...maybe it's the pants. 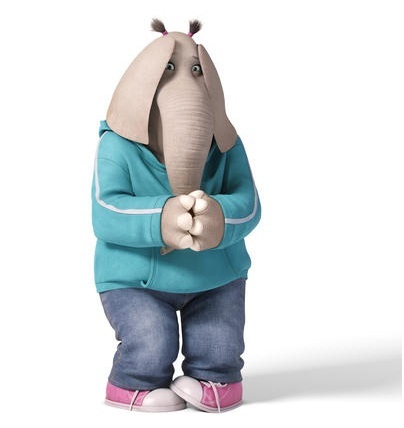 Okay show but I am more for Secret Life of Pets myself. SECRET LIFE OF PETS should be one of the best animated flicks this year! I see your point, Sheena-kay. All that's missing is some stereotypical hip-hop beat and yo yo yo whassup? he is sooo old school!